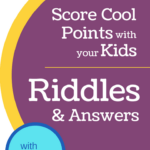 This is a sponsored conversation written by me on behalf of T. Rowe Price and Scholastic. The opinions and text are all mine. 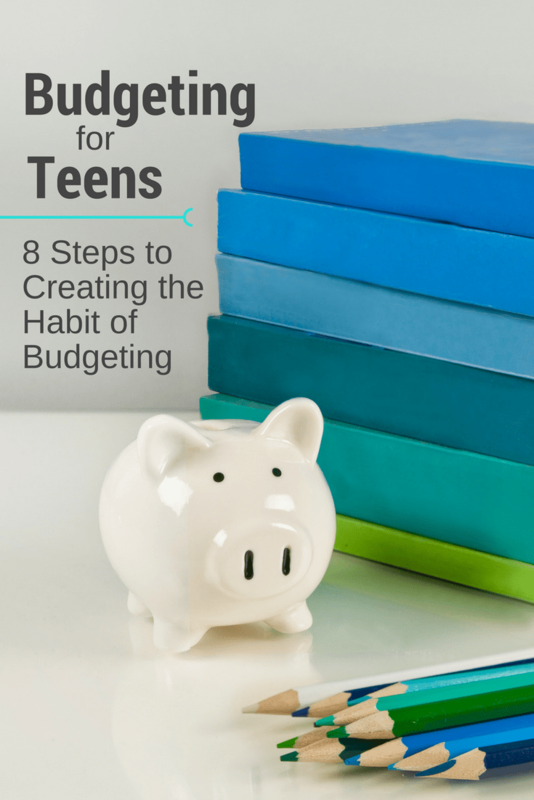 8 steps to creating the habit of budgeting for teens. It wasn’t until I was in my 30s that Hubby and I started creating a monthly budget. Immediately it felt like we had gotten a raise. By making a plan for our money at the beginning of every month, we felt in control. We could clearly see where our money was going and make informed choices on what we spent money on (or more importantly didn’t spend money on). It’s not as though I had never heard of a budget. But without guidance and solid action steps to follow, budgeting never took hold as a priority. 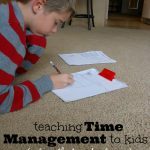 I don’t want my kids to wait until they are 30 to be using a monthly budget. I want them to start learning important money lessons while I am still in the position to guide them. The cost of car ownership, how to create savings goals and how to make investing a priority are all things that will naturally come up once a regular budget is in place. T. Rowe Price and Scholastic have created a money magazine just for teens. Money Confident Kids® High School Magazine is the perfect tool to help us (parents) offer unique opportunities for our kids to learn and practice making smart spending decisions. It touches on setting financial goals, budgeting and avoiding common money mistakes. We will spend the teen years teaching our kids how to budget. We will work to instill a habit of doing a monthly budget… before they head off to handle finances on their own. 1 – Sit down on the first of every month and do a budget meeting together. As your teen grows and learns you can switch from a more active role to an observer. This will create a habit that will hopefully follow your teen throughout his or her life. 2 – Decide what will be considered income. Chore money, gift money, and odd jobs are places that your teen might find money coming in. Are there other ways they earn money, either regularly or once in a while? My husband and I are both self-employed, something that works really well for us is to stay a month ahead. For example, all money we collect and earn in November will become the money we spend in December. Our November earnings are the income we use for the December budget meeting. 3 – Check in with savings and checking accounts at the start of each meeting. This is a great time to teach your teen how to keep a bank account balanced. 4 – Try out different tracking methods. There are several ways to track and plan spending. You might find an online spreadsheet (check out the printable Spending Tracker Tool in Additional Resources at Money Confident Kids® High School Magazine) or make your own. Maybe a paper and pencil log will be the best option. Remember that the goal is to find a system that works for your teen (not one that works for you). 5 – Help your teen set immediate goals, short-term and long-term goals. Check in on these goals monthly. Money Confident Kids® Teachers Guide has a great lesson on decision making along with an Action Plan Worksheet. Share your own moments of successful and not so successful saving. What goals have been reached by saving and what came about that you wished you had saved for but didn’t? 7 – Use envelopes and cash. Dividing cash into envelopes after doing a budget meeting makes it easier to follow through on the plans that have been set for the month. With cash, your teen can really see (and feel) the money disappear. They can also clearly see how much is left. 8 – Keep an eye out for money lessons. If your teen has been saving for a special event with friends but impulsively buys a new jacket instead, avoid jumping in. There will most likely be many emotions tied to this decision. Your job is to offer understanding and support, let the natural consequence teach the lesson. The money decisions they are making and learning from now will help guide them when they are older. Share your tips for budgeting with teens in the comments. Be sure to visit the Money Confident Kids® High School Magazine. This issue covers keeping an eye out for advertising gimmicks, planning to buy (and own) a car, understanding your money personality and more. MONEY CONFIDENT KIDS is a registered trademark of T. Rowe Price Group, Inc.